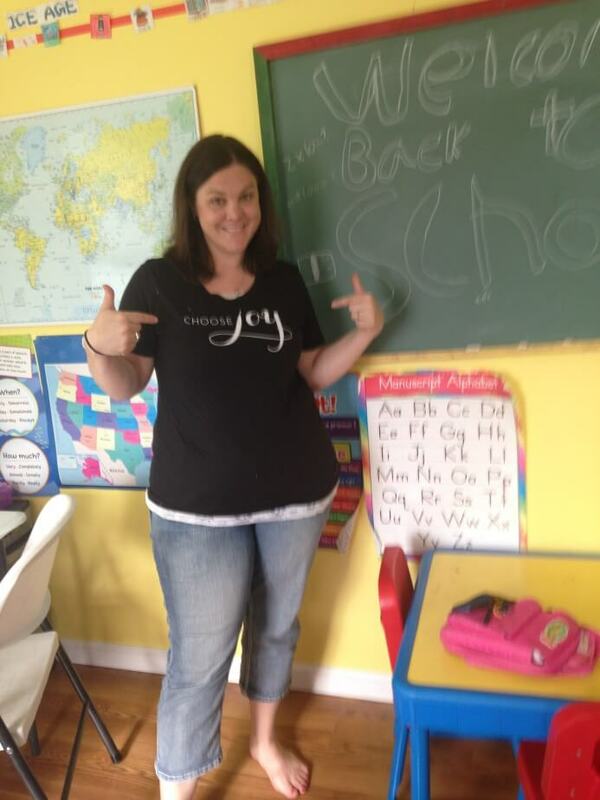 A few years ago, I made the choice to choose joy in my life. 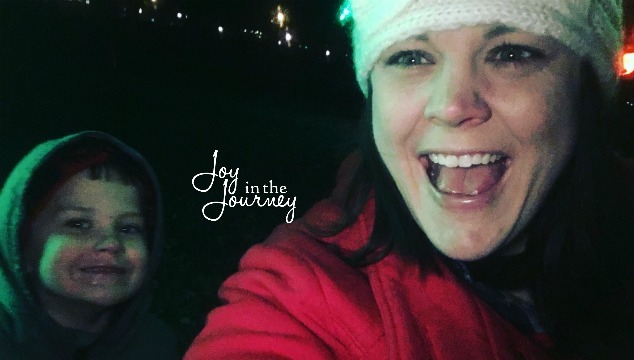 I started a choose joy challenge with you all on social media, and loved every minute of it! 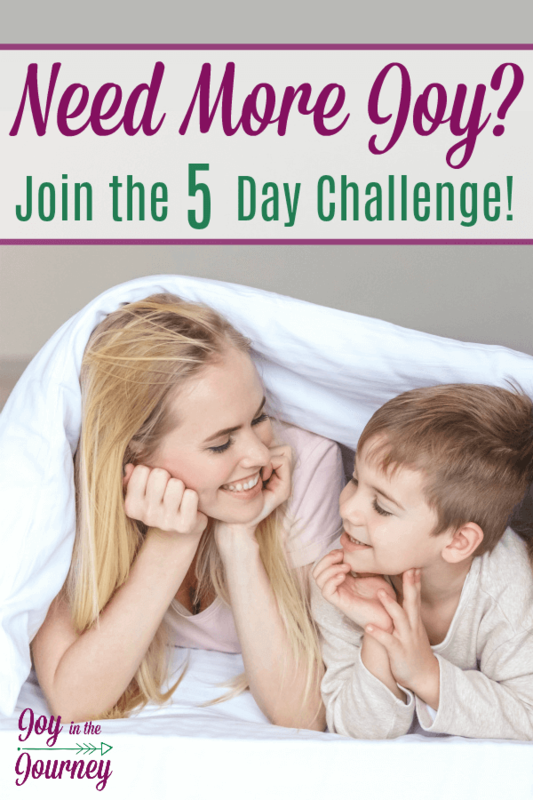 Now, that choose joy challenge is an email series dedicated to helping YOU have a more joyful homeschool in just 5 days. 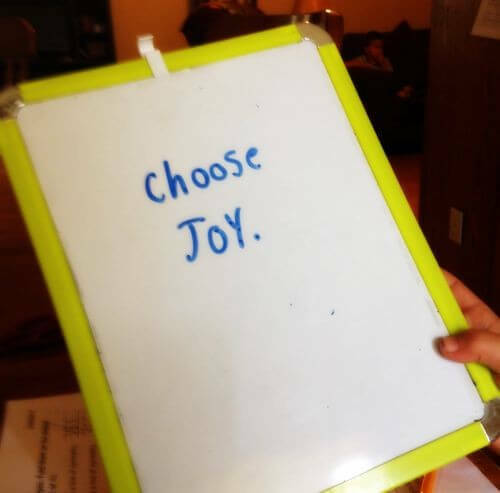 EVERY day for five days I share a #choosejoychallenge via email. These are going to SUPER short and SUPER simple tasks that ANY mom can do on ANY given day. I promise though even though these tasks are simple they will make a HUGE difference in the tone of your home. Why would we want to choose joy? Because WE set the tone for our homes. As mothers, it is up to US to choose joy. If we don’t, then our families will suffer, and our days will be long and discouraging. My daughter reminded me of this last year when she wrote me this note. It was a great reminder that there are little eyes watching us all the time and that each and every day we have a choice to make. I don’t know about you, but I want to choose well. I want to choose joy. When I began this challenge for myself, I was a grumpy momma. I dreaded most mornings and felt like I was on the hamster wheel of life instead of fully present in my day. I didn’t want to live like that anymore, so, I made the choice to change. I strived to give myself a little challenge each day. I made a note of what my triggers were and would stop and remind myself to choose joy instead of airing my frustrations. One of my triggers was feeling rushed. So, I made the decision that I could be a few minutes late, or right on time and have a happy morning. OR, I could arrive 15 minutes early so I could “play” the perfect homeschool mom part, but have frustrated and anxious kids with a mom yelling at them to get out the door. A few years later, and I can honestly say our home is different. Our school days are different. I do things with my kids with a joyful attitude. I laugh. I embrace the moments. And remind myself that one day this will all be over, and I’ll MISS it. So, why not choose joy now? Why not enjoy my life TODAY? Instead of looking back on this time with regret and sadness. So, are you with me? I hope so! If you are, subscribe below and the challenges and tips I experienced will be sent to your email each morning over the next 5 days!